So what better than to receive a symbol of it? I will start by saying that as a new Mama I simply don’t have the time to spend accessorizing/getting ready of a morning like I used to. You will often find me sporting an oversized knit, jeans and a pair of Chelsea Boots. A quick ruffle of the hair, a spot of concealer for those under eye bags and I’m good to go. Mum life. 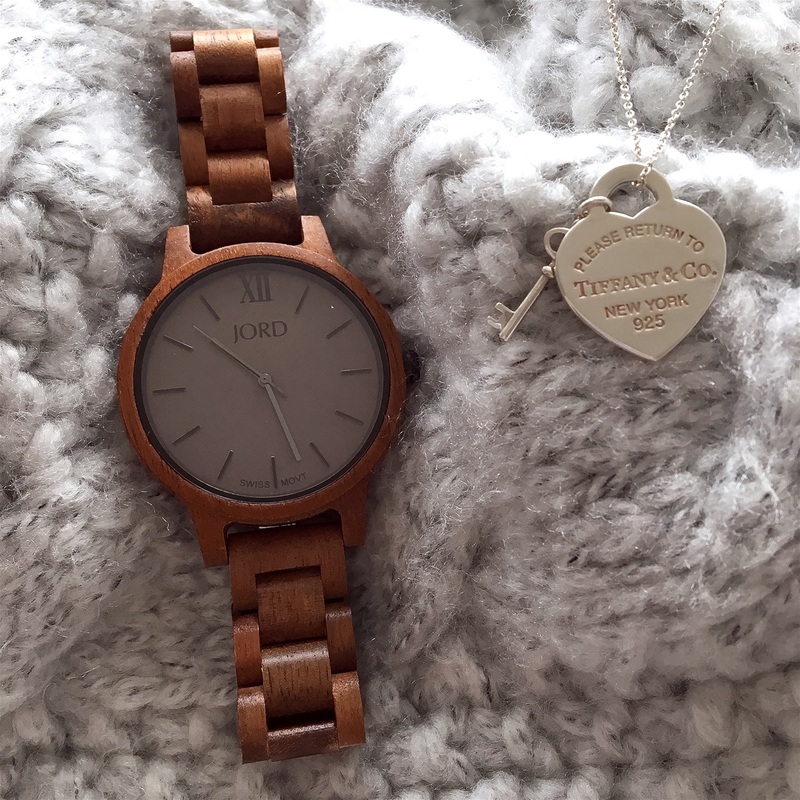 Therefore when the guys over at Jord kindly offered to send me one of their beautiful wooden watches I couldn’t believe my luck! Style really doesn’t have to go out of the window – this signature piece really does make a statement. Although a timeless piece, wooden watches are bang on trend at the moment with the whole Scandi/minimalist look. On receipt of the watch I was genuinely blown away by the craftsmanship involved – even the wooden display box itself is a work of art! (I see you Hubby eyeing it up – hands off!) Prior to dispatch I handed my wrist measurements over (using the handy guide provided) and the watch was adjusted for my personal use. This customer service really gets the thumbs up from me. Having rather small wrists nine times out of ten I have to have a watch adjusted prior to being able to wear it. Not good when all you want to do is show off your new wrist candy! All watches can be engraved too – so you can add the personal touch. I can’t help thinking that for anyone getting married, this would be the perfect gift to present to your loved one. A luxurious yet practical piece of every day wear. I have enjoyed wearing mine during Maternity leave but know it will look smart with my work dresses when I am back in the office. Christmas has indeed long gone *sobs* but Valentine’s Day is just around the corner. Give the gift of time this Valentine’s Day, give Jord. It goes without saying that this post is sponsored by Jord, however these views are 100% my own and I would never work with a company that I don’t truly love!